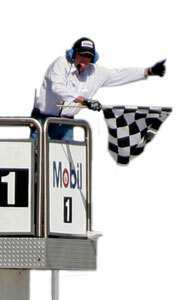 Edward brought the company car home with a convincing win on Saturday. Note the borrowed helmet. He lost his in the fire. 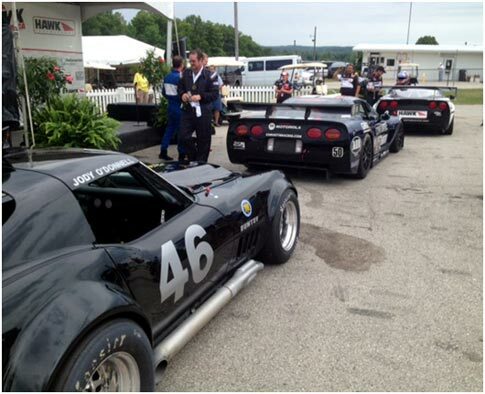 In the 'All Corvette' race, Jody took 1st in Group 6 and 3rd overall behind two winged Group 10 Corvettes! This year the Hawk with Brian Redman had over 400 entries, and the track was more than ready for the huge crowd with grounds perfectly manicured and new paddock space everywhere. There were 58 cars in Group 6, four of them supported by the Duntov team. It was Edward's first race in 2013, and he put the Duntov factory #38 car on the pole by two seconds and won Saturday's qualifying race going away. Jody O'Donnell finished second, just beating out a hard charging Sam LeComte. It was Duntov 1st, 2nd and 3rd. 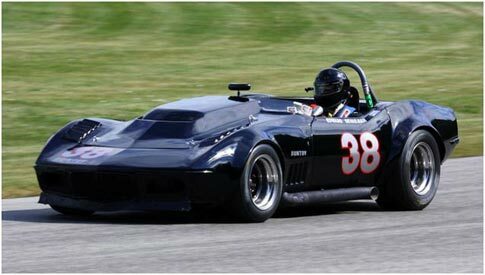 Sunday's Group 6 Feature race was scheduled only an hour after a special 'All Corvette' race, and many Group 6 competitors chose not to run in the Corvette race. Duntov was represented by Jody O'Donnell who blew away all other Group 6 cars and finished ahead of all but two of the C5 and C6 winged Group 10 Corvettes. 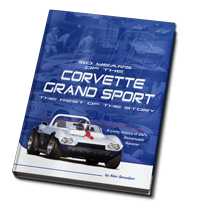 The rain began to fall just as the All Corvette race was ending, and an hour later it was as a monsoon. None of the Duntov cars, and only a few others ventured out to motor around at 50 MPH in ridiculous conditions. As far as we are concerned, the Group 6 Feature race was on Saturday, and it was Duntov 1-2-3 for this year's Hawk, and that's the way we will remember it!